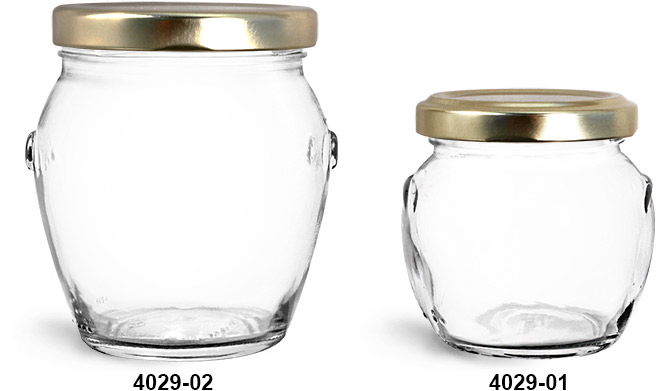 These stylish clear glass honey pot jars come with gold metal plastisol lined lug caps. The plastisol liners create hermetic seals when activated, which ensures freshness when packaging food products such as honey, syrups, and spreads. Be sure to test your products with these specialty shaped glass honey jars for the best compatibility.